Help us uplift our neighbors by donating travel-size toiletries, socks, towels, and socks to the MLK, Jr. Community Center. We are accepting donations until May 15, 2019. 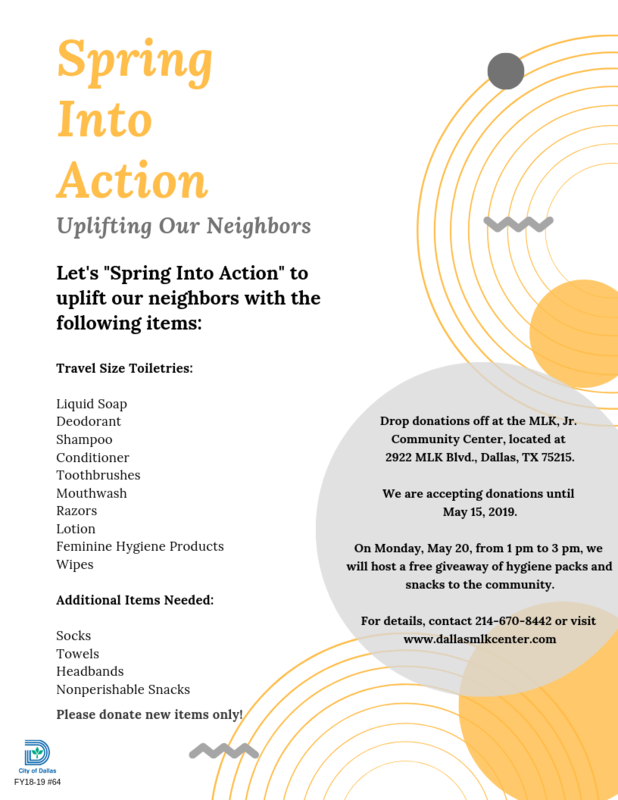 On May 20, from 1 pm to 3 pm, we will host a free giveaway of hygiene packs and snacks to the community. For details, contact 214-670-8442 or info@dallasmlkcenter.com.